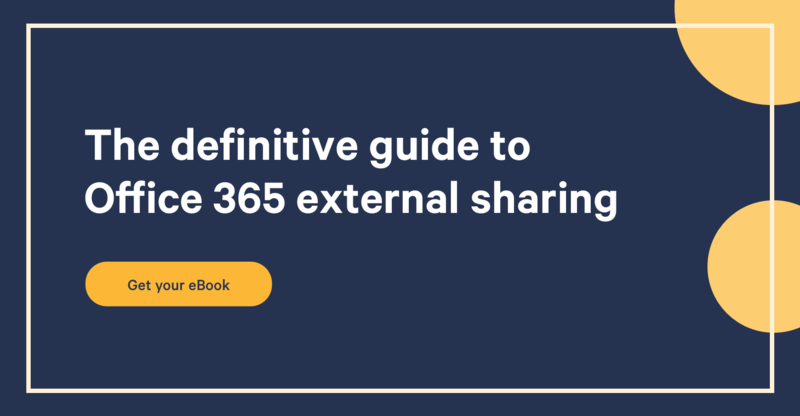 If you're starting to look into OneDrive, OneDrive for Business or even Office 365 but not exactly sure where to start, this infographic gives you a good overview of the differences between each service offered. I've put together a few links alongside this infographic that will definitely help shed some light on it. OneDrive is a free public offering, which allows you to store files and retrieve them later from anywhere, on any device. Linked to your Outlook (formerly Hotmail) account, it is ideal forpersonaluse. Synchronizes seamlessly to your computer so you can work on your files even offline. Easy to use as it doesn't change much of your habits, and you can navigate and work on your files as if they were on your computer. Grab your documents on the go when you need them the most and even edit them right from your mobile device. Built-in integration with Office desktop. You can create or edit Office Documents in a browser as well. View or Recover a previous version of your document quickly and easily. Mutli-factor authentication increases the security of user logins for cloud services above and beyond just a password. Request a phone call or text message to acknowledge access to your files, further eliminating the risk of a security breach. Unlike OneDrive, OneDrive for Business is offered both in the Microsoft cloud and on your servers with SharePoint 2013. It provides users with a Personal Site in which they can store their files and any other information. The concept however is still relatively the same where we store our files and get them from anywhere, except this time the "personal site" belongs to the organization and not your personal Outlook (Hotmail) account. Get more information on what is being done on your organization's files in SharePoint. Do more with the files stored in OneDrive for Business like: Approve workflows, Create custom workflows with SharePoint Designer, Retention Policies, Create views on your Content, Create Columns to add your own Metadata to documents, Document Templates, eDiscovery, Advanced Security management, Create lists to manage data, etc. ISO 27001, HIPAA BAA, EU MODEL CLAUSES, FISMA, and more! Office 365 brings the entire business suite to your organization, without the hassle. Whether it's emails with Exchange and Outlook or instant communication with Lync and Skype, you'll have everything you need for your organization to get started on the right foot. It includes OneDrive for Business as well as SharePoint with even more features allowing users to take their content to the next level.